High-quality Amplifier dust cover for CRATE BV 150 AMP. High-quality Amplifier dust cover for CRATE BV 412 SVB CABINET. 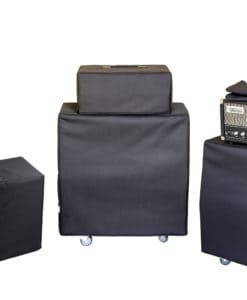 High-quality Amplifier dust cover for CRATE BX 100 COMBO. High-quality Amplifier dust cover for CRATE CA 125 DG COMBO. High-quality Amplifier dust cover for CRATE CA 30 COMBO. 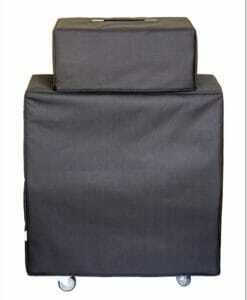 High-quality Amplifier dust cover for CRATE CA 6110 DG COMBO. High-quality Amplifier dust cover for CRATE GT 212 S CABINET. High-quality Amplifier dust cover for CRATE GX 600 HY AMP. High-quality Amplifier dust cover for CRATE PALOMINO CLUB 40 AMP. High-quality Amplifier dust cover for CRATE PALOMINO V 8 COMBO. High-quality Amplifier dust cover for CRATE TX 50 DB COMBO. High-quality Amplifier dust cover for CRATE V 151 COMBO. High-quality Amplifier dust cover for CRATE V 212 B CABINET. High-quality Amplifier dust cover for CRATE V 30 H AMP. High-quality Amplifier dust cover for CRATE V 3112 COMBO. High-quality Amplifier dust cover for CRATE V 5 COMBO. High-quality Amplifier dust cover for CRATE V 50 112 COMBO. High-quality Amplifier dust cover for CRATE VC 508 COMBO. High-quality Amplifier dust cover for CRATE VFX 5112 COMBO. High-quality Amplifier dust cover for CRATE VINTAGE CLUB 4 X 10 CABINET. High-quality Amplifier dust cover for CRATE VINTAGE CLUB 50 AMP.